IKO Polymeric launched an innovative offsite manufactured roofing panel, IKO Armourdek, in January 2016. There was a number of reasons for doing this which we will explain in a little more detail in this blog but with the offsite market worth up to £3 Billion per year and accounting for over 5% of today’s new build market, exponential growth is forecast over the next few years in this sector and we feel there is massive potential for the IKO Armourdek Roofing System which is certainly a product that can provide a positive solution to the challenges that lay ahead for the UK Construction Industry. Here at IKO Polymeric, we have been providing pre-fabricated details to the roofing industry for a number of years and in more recent times we have been supplying pre-fabricated roofing sheets to modular & volumetric businesses that provide offsite solutions to the education and hotel/student accommodation markets. IKO Armourdek was therefore seen as a natural progression of what we were already involved with albeit a panellised solution rather than supplying just the roof sheets to the modular market. There is a common misconception that the off-site market is only really centred on the housing sector and is seen as a positive, fast-track solution to address the housing crisis. 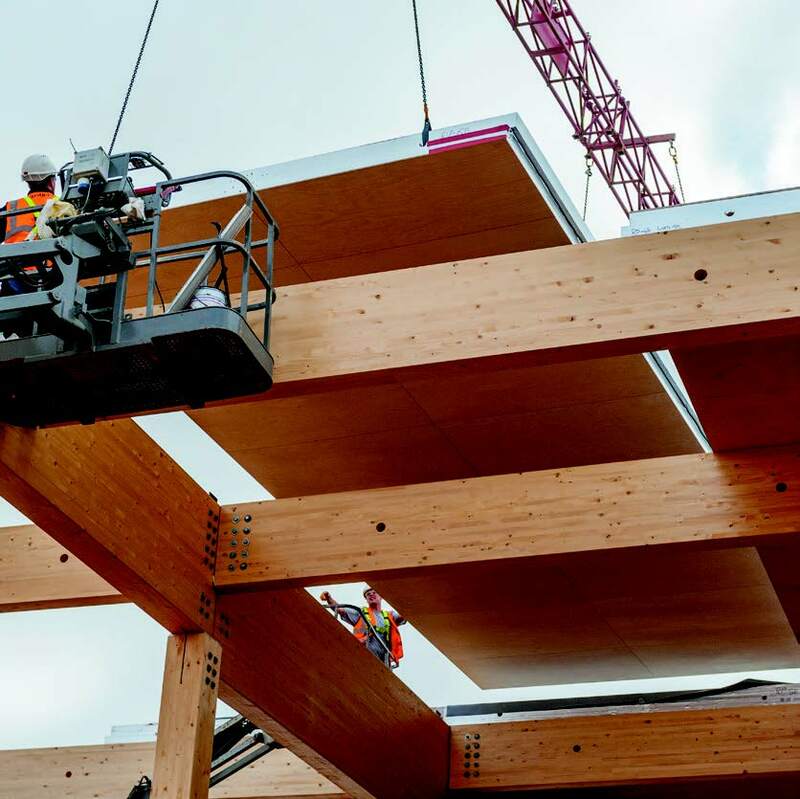 According to market research, 70% of every project can now be constructed using offsite manufactured components so this is definitely not the case and every construction sector is able to utilise these new & innovative construction solutions. Back in July 2013, the Government set out its plans to develop a long term vision to put Britain at the forefront of global construction. 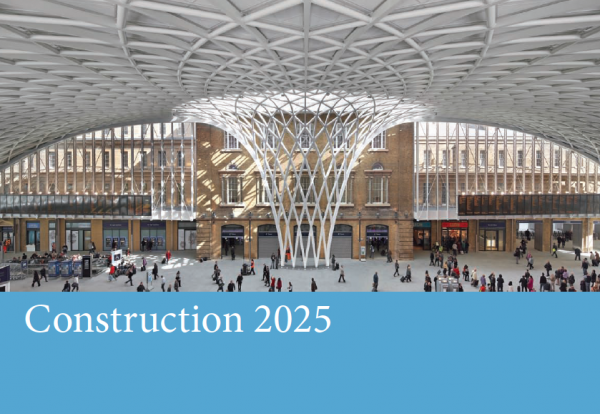 ‘Construction 2025’ was commissioned by Peter Hansford, the Chief Construction Advisor to the Government. In a nutshell, the overall strategy is to reduce the cost of construction by 33% and to deliver projects 50% quicker using 50% lower emissions. It also addressed the skills shortage, new technologies, sustainability and developing a robust enough supply chain that can deal with a 70% increase in the global construction industry by 2025. A Construction Leadership Council was put in place to deliver this vision and strategy. Towards the end of 2015, the Government asked the Construction Leadership Council to identify actions to reduce the industry’s structural vulnerability to skills shortages. October 2016 saw the launch of the ‘Farmer Review of the UK Construction Labour Model’ written by Mark Farmer and entitled ‘Modernise or Die’. 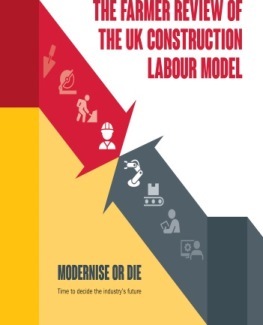 The report challenged the industry to find ways to do things differently, to reduce the reliance on building the same way we have done for decades if not centuries with a heavy demand for onsite labour. Around 3 million people are currently employed in the UK Construction Industry which is around 10% of the total UK employment. The current workforce includes 22% over 50 and 15% in their 60’s. The industry has a poor image and a poor pipeline of young people entering the industry. Only 4.2 out of 10 14-19 year old’s see construction as a career option and only 1% of employers have looked to take on apprentices to ease skills shortages. 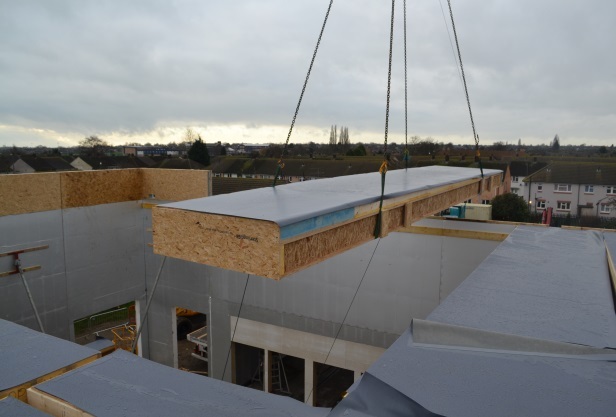 As an offsite manufactured roofing panel, IKO Armourdek does not require the same level of onsite labour that would be needed for a traditionally built up roofing system. It is a composite roofing panel that uses every component that would be used in a built up roofing system and is fabricated off-site as one complete composite unit. 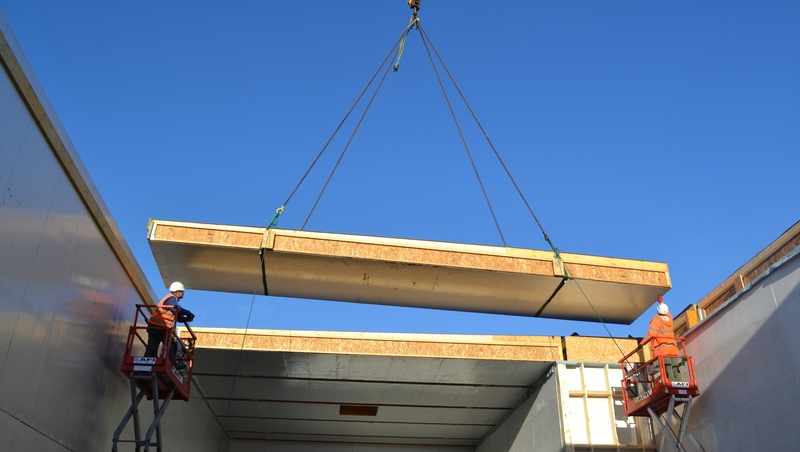 The structural supports are incorporated within the panel too, so for instance, purlins and joists are not necessarily required so yet another onsite installation is avoided. The built up roof system on site would require a deck/substrate to be installed, a Vapour Control Layer, Insulation boards and the waterproofing finish. All of these components would be individually installed and fixed on site. Common thought has it that within the UK Construction Industry, it is inherently problematic to innovate as we are to risk adverse and not willing to experiment with new methods of construction. Factors that could improve the take up of innovation may include, legislation, regulation and tightening of control and inspection on sustainability and possible Health & Safety which will tend to force up costs and/or require new working practices, either of which would justify changes in the traditional approach in an attempt to increase efficiency and productivity and improve profitability. Today, there is more attention being paid towards Health & Safety than ever before and it is fair to say that there are still too many accidents happening, in particular working from height. A change in attitude and understanding is needed of everyone in construction in order to enhance safety awareness and thinking throughout the construction process from design, manufacturing and build through to the operations and maintenance following completion of the projects. Back in April 2015, the CDM Regulations changed quite dramatically creating new obligations for clients, architects, designers and main contractors who face the risk of unlimited fines and even imprisonment if they fail to comply. These changes put a greater onus on clients to think earlier about Health & Safety matters on construction projects and to encourage those with design responsibility to take greater ownership of these responsibilities when schemes are first conceived. Increasing the client’s awareness of the risks and criminal liabilities that might be incurred as a result of an accident, means that the safety records of contractors and others may become a bigger factor in the client’s decision on who to award contracts to. 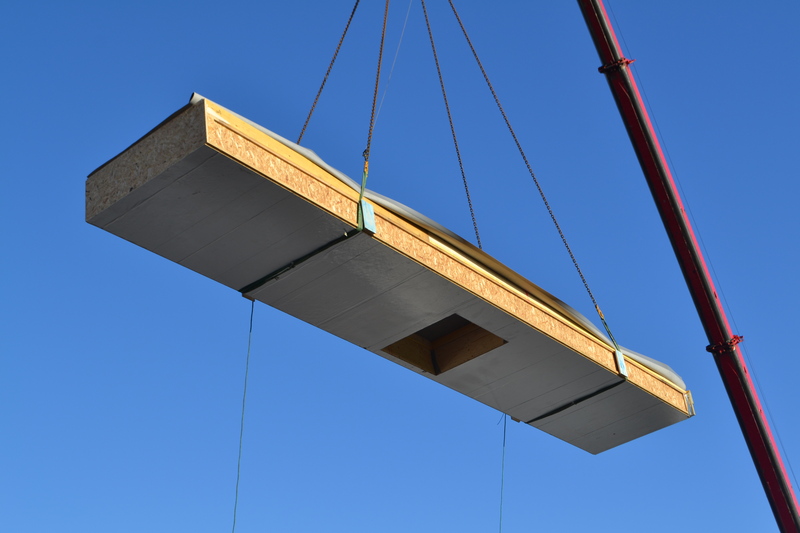 The use of this offsite manufactured roofing panel over traditional built up roofing systems significantly reduces the amount of time spent working at height and therefore reduces the risk of falls from height which is the most common cause of serious injury in the construction industry. Using IKO Armourdek will also help to create a safer working environment through the ability to install larger areas quickly with the panels being fixed from the underside into the building frame using cherry pickers/MEWPS. During this phase of the installation, no one is working up on the roof to fix the panels. The second phase of the fix does however involve the welding of the panels and details and whilst this does require working from height, there is not so much to weld as the majority of this has been carried out at the offsite facility. Transferring much of the roofing programme from an open site to a controlled factory environment reduces the on-site time for workers and therefore reduces the potential for site based accidents and ill health.o. Over the last 6 months or so, you may have come across or heard mentioned, DfMA, which stands for Design for Manufacture and Assembly. This is an approach to design that enables optimal assembly of prefabricated modules on site by engaging multi-discipline and multi-tier suppliers from the beginning of the design development process. It is a fundamental requirement of the DfMA approach that early supply chain engagement is exercised to enable off-site solutions to be considered and realistically applied at project level. Off-Site manufacturing needs a collaborative approach and will improve the quality of build and components due to the controlled environments where these products are produced. Factory controlled conditions mean a better quality of build; better finish; fewer defects; the majority of snagging completed. These advantages are matched by those for the skilled workforce who are carrying out the working a warm, controlled and enclosed workplace using production line techniques that significantly reduce the risk of accidents and ill health. Considering IKO Armourdek at the very early stages of design, cost plan stage ideally, and designing the structural frame around the benefits of the roof panel instead of making the panel fit an already designed building, will have a positive effect of a shorter programme resulting in a high, early return on capital for the client and significant cash flow advantages for builders and sub-contractors. The UK has high construction costs in comparison to foreign competitors and this is driven by inefficient procurement processes rather than material input costs. There is clear evidence that through offsite manufacturing, a better productivity can be achieved. A typical construction site will achieve levels of around 30% productivity whilst an industrialised offsite facility will achieve a productivity of around 80%. What also needs to be considered is the amount of waste on site through traditional construction methods which generally runs at around 20% waste. An offsite manufactured product generates ‘Zero Waste’. Traditional construction will use many different components, large or small, delivered to site and fabricated by many different trades. Build times are compromised by material and skill shortages and by inclement weather. Construction projects that use 100% offsite manufactured products are not subject to these on-site problems. IKO Armourdek is a bespoke, ‘Zero Waste’ product and wherever possible, we maximise the length and widths of the panels to minimise the amount of work required in the final site installation phase which involves the welding of the panels and the detailing work. A built up roof system can be affected by the vagaries of Mother Nature. IKO Armourdek is less dependant on the need for good weather and therefore can be installed in most conditions. If you want to find out more about IKO Armourdek or the prefabrication service in general.